PROVIDENCE, R.I. [Brown University] — A widely presumed problem of aging is that the brain becomes less flexible — less plastic — and that learning may therefore become more difficult. A new study led by Brown University researchers contradicts that notion with a finding that plasticity did occur in seniors who learned a task well, but it occurred in a different part of the brain than in younger people. When many older subjects learned a new visual task, the researchers found, they unexpectedly showed a significantly associated change in the white matter of the brain. 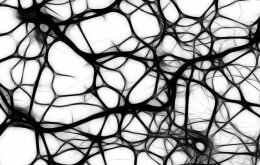 White matter is the the brain’s “wiring,” or axons, sheathed in a material called myelin that can make transmission of signals more efficient. Younger learners, meanwhile, showed plasticity in the cortex, where neuroscientists expected to see it. The study’s lead authors are Yuko Yotsumoto of the University of Tokyo and Li-Hung Chang of Brown University and National Yang Ming University in Taiwan. The corresponding author is Yuka Sasaki, associate professor (research) of cognitive, linguistic, and psychological sciences at Brown University. The team’s study enrolled 18 volunteers aged 65 to 80 and 21 volunteers aged 19 to 32 to learn and perform an abstract visual perception task in the lab over the course of about a week. They saw screens showing a background texture of lines oriented in a particular direction. Sometimes a small patch of the screen would quickly show lines pointing in one of two different directions against that background. Subjects simply had to push a button indicating they saw a patch with a particular orientation. Individuals varied, but older subjects were just as likely on average as younger ones to make substantial progress in discriminating the small patch’s different texture. But the researchers weren’t just interested in whether learning occurred. They also scanned the brains of the volunteers at the beginning and the end of the week using magnetic resonance imaging, which can indicate plasticity in the cortex, and using diffusion tensor imaging, which can indicate changes in white matter. The scans focused on the section of the brain responsible for visual learning, the early visual cortex (gray matter), and on the white matter beneath it. Moreover, the researchers strategically positioned the texture patch in the same part of the subject’s visual field. That was to ensure that a specific part of the visual cortex (and white matter beneath) that handles signals for that section of the visual field would be trained, while other sections would not. For changes in the cortex, younger learners showed significantly more than older learners. For changes in white matter, older learners showed significantly more than younger learners. In volunteers of both age groups, brain changes occurred only in the sections corresponding with the specific part of the visual field where the patches occurred. The study produced another curious finding. In looking more deeply at the association between white matter changes and learning performance in the older subjects, the researchers found that they separated into two clearly distinct groups: “good learners” and “poor learners.” In the group that learned very well (their accuracy in discriminating the patch increased by more than 20 percent), members showed a positive association between white matter changes and their improved learning. But among the “poor learner” group (which had a less than 20 percent improvement), the trend was that learning improvement decreased with greater white matter change. The study doesn’t explain what accounted for why older subjects fell into one group or the other. The results also don’t definitively explain why white matter plasticity would enable good learners to learn well, although improved signal transmission efficiency is one hypothesis. But for many seniors, it may be encouraging to learn that plasticity doesn’t necessarily decline with age, it may just shift with the whitening of hair to the brain’s white matter. In addition to Watanabe, Sasaki, Yostumoto, and Chang, other authors are Rui Ni of Wichita State University, and Russell Pierce and George Andersen of the University of California–Riverside.